RhythmOne retargeting enables you to target anonymous end users who engage with content that is shared via the Sociabble platform elsewhere on the web. By linking RhythmOne retargeting campaigns to content that is shared on Sociabble, you increase the number of touchpoints with end-user audiences. 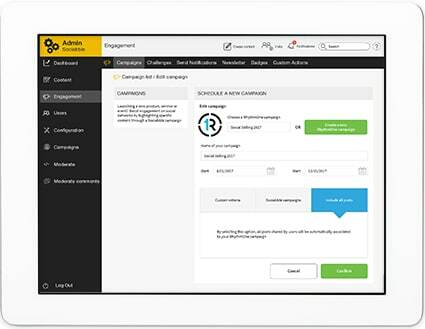 The integration of RhythmOne allows marketers to retarget audiences that engage with your content, regardless of whether or not they have already contacted you. For sales and marketing teams, it is a valuable way of nurturing interested audiences along your marketing funnel. 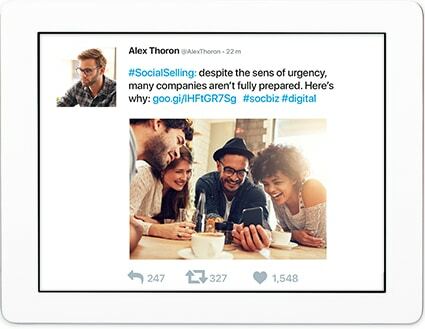 Your employees share content on their own social networks via Sociabble. End-user audiences engage by clicking on the content that is shared. 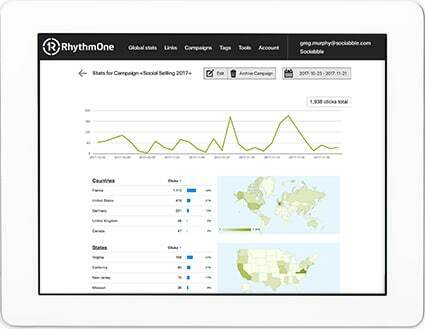 Audiences that engage are then retargeted by RhythmOne campaigns. Want to see what Sociabble and RhythmOne can do for your company?